Los Angeles, dubbed the “City of Angels,” is the second-largest city in the United States. A multicultural city known as the hub of the entertainment industry and a center of arts, culture, and fashion, Los Angeles has suffered one of the most devastating economic recessions in the nation. Fueled by the California budget and housing crises, the unemployment rate in Los Angeles was 5.6 percent in 2007 and rose to 12.8 percent in 2009 — both figures above the national rate of 4.6 percent and 9.3 percent, respectively. In 2009, Mayor Antonio Villaraigosa’s office reported that the city was suffering from declining home values, increasing foreclosure rates, and rising unemployment. New housing development suffered most. According to the city’s building permit valuation for residential construction, new housing construction dropped from more than $2.5 billion in 2007 to less than $1 billion in 2009. Despite the looming economic crisis, from 2000 to 2010, Los Angeles’ population increased by 9.8 percent (from 3.7 to 4.1 million). The city is beginning to show signs of economic recovery, but tightening lending practices have stalled new housing construction, adding to the city’s housing conundrum — a high demand for moderately priced housing at a time when government and industry limitations are at their peak. Housing developers are left with two possibilities: abandon housing projects or seek new and innovative ways to get projects off the ground. With the help of a 2005 city ordinance, several developers have pursued the latter option. In 1999, the Los Angeles city council established the Housing Crisis Task Force in response to the city’s severe affordable housing shortage. In the months that followed, the task force released a report, In Short Supply, to identify strategies aimed at alleviating the housing crisis. The report found that 372,000 housing units were overcrowded (102,000 of which were severely overcrowded), accounting for 30 percent of total housing units within the city. Thousands of affordable housing units were being demolished every year to make way for more luxurious homes, and the nearly built-out city did not have the land to accommodate new housing development. The task force strongly recommended increasing the availability and production of affordable housing through innovative land use strategies. 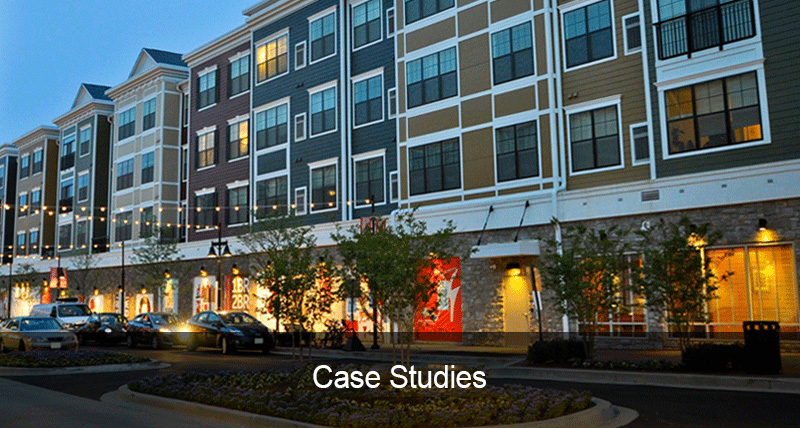 One such strategy included facilitating affordable homeownership through a small lot program. In November 2000, the city’s planning commission evaluated more than 60 proposals to increase production of affordable and market-rate housing. Twenty-five proposals were recommended for further study, including small lot development. The small lot program met the task force’s requirement that it increase homeownership opportunities through innovative land use. 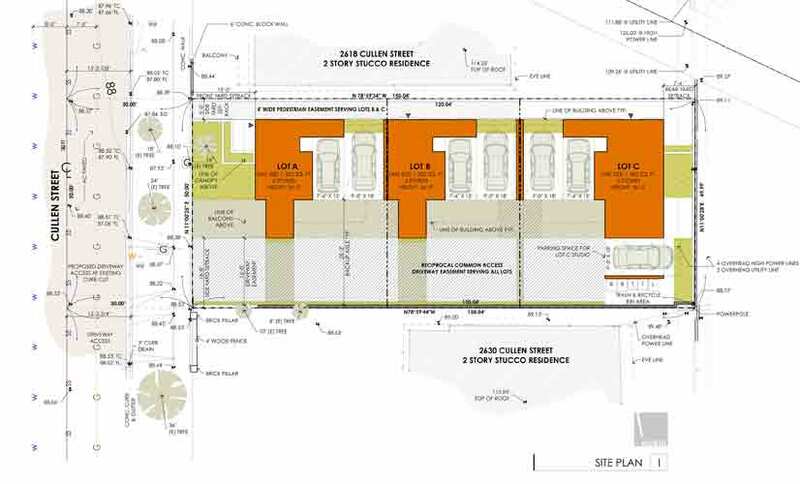 Under the program, the city would subdivide lots located within existing multifamily and commercial zones to develop fee-simple, detached townhomes that would not be required to be part of a homeowner’s association. These small lot or townhome units would allow buyers to own both the land and the structure, rather than just a percentage of shared space (as in a condominium project), making them more attractive to first-time buyers. At the time the proposal was being reviewed, the city’s zoning code allowed for only the construction of apartments or condominiums in multifamily residential zones. Single-family homes were also allowed, but the minimum lot size requirement of approximately 5,000 square feet did not make detached housing a viable alternative for housing developers. In 2004, after years of examining and modifying the proposed code, the Los Angeles City Planning Department formally presented the City Council with a proposed ordinance to permit small lot housing. In 2005, the city passed the proposal into law. The Small Lot Subdivision (Townhome) Ordinance is an amendment to the Los Angeles Municipal Code. 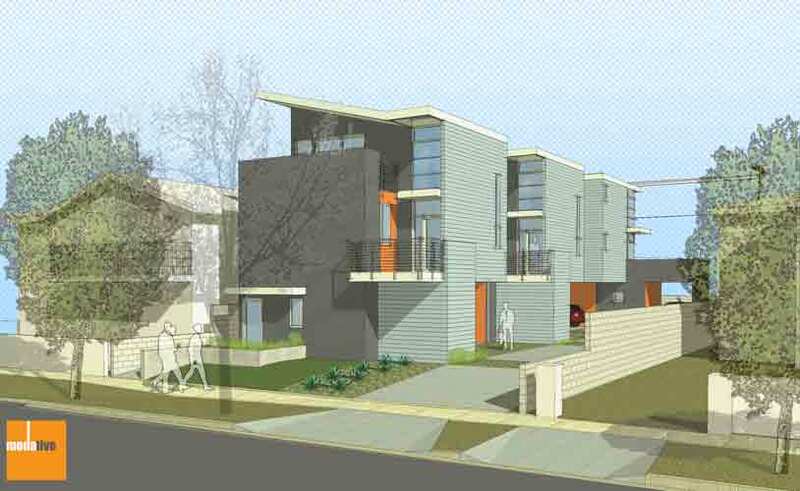 The ordinance permits small lot developments in the form of detached townhouses. 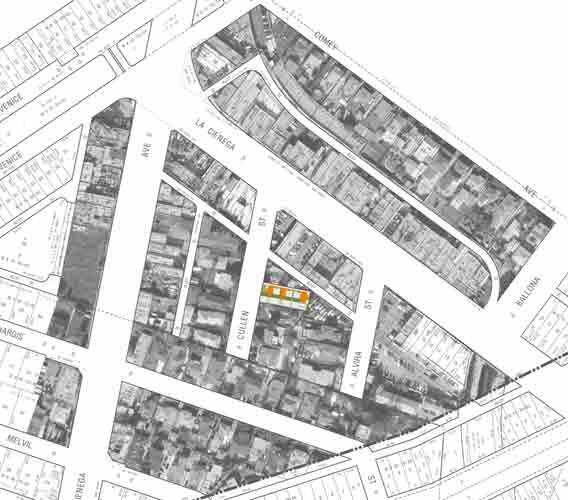 To accomplish this, the definition of “lots” was amended to specify that the 20-foot street frontage requirement would not apply to an approved small lot subdivision. 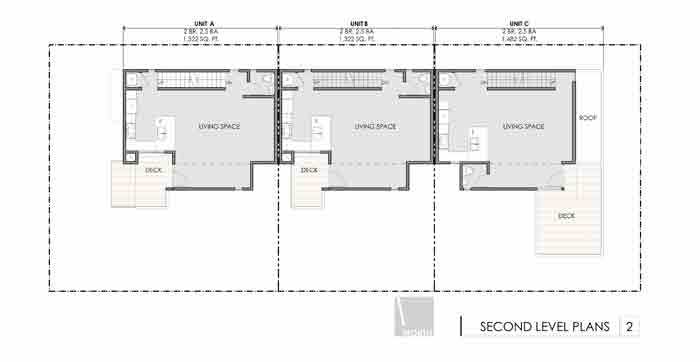 Parking requirements were also amended; small lot developments are not required to provide parking spaces on the same lot, as is the case with all other residential zones, but are still required to provide two garaged parking spaces per unit. The ordinance also allows one parcel to be subdivided into a single home, a duplex, or a triplex, as long as the subdivision does not exceed the dwelling unit requirement established by the underlying zone. To allow developers even more flexibility, the city chose to adopt minimum (rather than maximum) development standards. For example, the minimum lot width of a small lot could be 16 feet and the minimum lot area may be as small as 600 square feet. 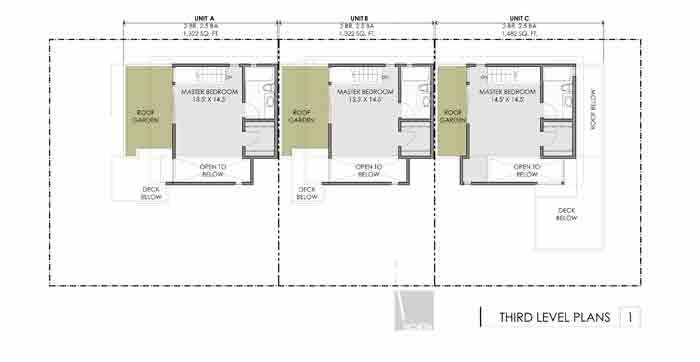 In addition, each lot is not subject to front, side, or rear yard setback requirements between each parcel. When abutting a parcel that is not a small lot subdivision, however, a 5-foot side yard is required. Primarily, the ordinance reduces minimum lot size and side yard requirements to allow for creative townhome developments. This ordinance extends to all multifamily and commercial zones, but does not apply to single-family zones. 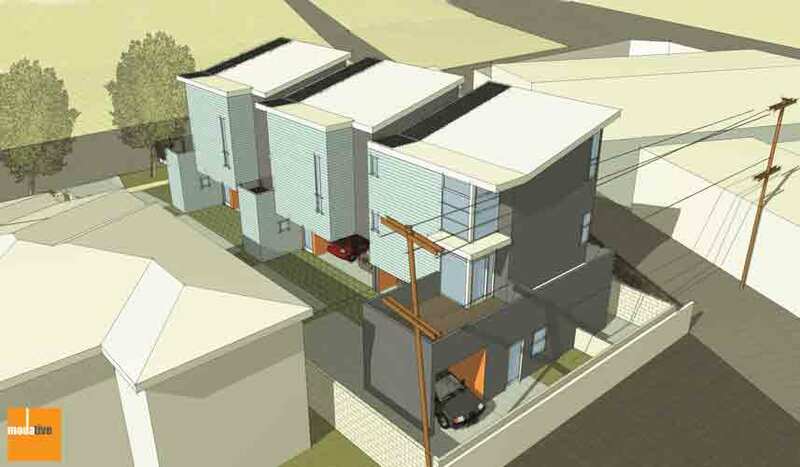 The City of Los Angeles Small Lot Design Guidelines complement the adopted ordinance in promoting the design and creation of small lot housing with neighborhood compatibility in mind. The guidelines outline site organization and urban form, parking and driveways, building design and materials, and landscaping and access. Two themes are seen throughout the document: creative approaches to spatial complexities with innovative site layouts and high-quality design elements that enhance the overall character of the neighborhood. For example, builders and designers must consider where to place parking, driveways, and open space, all while taking into account the footprint of the townhouses and how they relate to street frontages and adjoining lots. Builders and designers must also ensure that small lot units in close proximity preserve residents’ privacy and allow adequate natural light and ventilation. The Guidelines also illustrate how design elements can enhance the aesthetics of a neighborhood. For example, townhouses should be designed with variations in height and massing, not built out to the maximum volume allowed under the code. Townhouses that tower over surrounding properties can disrupt the overall quality of the street and public realm. Building design and materials requirements are more difficult to establish because of the area’s rich architectural diversity, but the Guidelines recommend that designers consider using materials found in adjacent properties to help small lot developments blend into the neighborhood. This consistency is required in all aspects of design and placement, from setbacks to grade level and entryways. Why Build Small Lot Developments? Small lot developments increase homeownership at reduced costs. Small lot developments are fee-simple units that increase homeownership opportunities while working within existing land use designations. Because these units are fee-simple, homeowners acquire ownership of the housing structure, as well as the land on which it’s built. When the amount of land needed for housing construction is decreased, the savings in land costs can be passed on to the homebuyer. Small lot developments increase housing production. Although small lot developments do not technically increase zoning density, they are usually built on underutilized lots, thereby increasing the number of units made available to the public. Small housing developments are not subject to monthly homeowners’ association (HOA) fees. HOAs are corporations with formal bylaws created to maintain common areas within a certain development. Members are charged monthly fees ranging from $250 to $750 (depending on the area) to cover the cost of property management. Small lot developments are constructed without common walls or foundations and therefore do not require HOAs. Small lot developments are easier to finance than condominium projects. New housing development in Los Angeles has come to a standstill. Stringent lending practices and insurance liabilities have made condominium projects (which are usually targeted to median-income residents) nonexistent. An increase in construction defect litigation has forced condominium HOAs to require additional insurance that can cost more than $20,000 a unit. Because small lot developments do not require HOAs, they do not face mandatory additional insurance costs, which makes obtaining bank financing easier. Although the small lot ordinance has garnered much acclaim, implementing small lot developments can still be challenging for developers. First, subdividing land for small lot development can take up to a year (or longer), making the entitlement process complicated, time consuming, and costly. Small lot developments are subject to the California Subdivision Map Act, and developers are required to provide additional information over and above the customary requirements for new subdivision or parcel map applications. The subdivision application must also include a maintenance association to maintain all common areas and proof of accessibility by the city’s Fire Department and the Bureau of Sanitation. One suggestion to remedy this issue, made by architects specializing in small lot development, is to involve the city in the entitlement process. Having the Los Angeles Housing Authority hold the property until the subdivision is approved could save thousands of dollars in accrued interest — savings that could be passed on to homebuyers. Second, the language of the ordinance makes it difficult for small lot developers to apply the same standards from project to project. “In a city like Los Angeles, it’s difficult to apply citywide ordinances. Test areas are harder to come by because neighborhoods are very diverse. What works in one neighborhood would not necessarily work in another,” explains Jane Blumenfeld, Acting Deputy Director (retired) of the Los Angeles Department of Planning. Although the ordinance does not have detailed development standards, the design guidelines communicate a clear vision of how the completed project should appear. Creating a consistent approval process and establishing an architectural review board specifically for small lot developments may solve this problem. 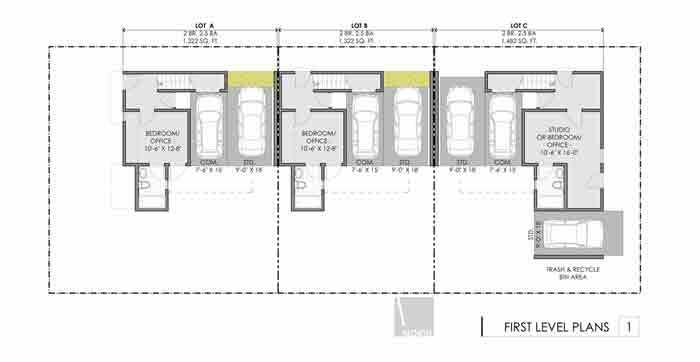 Parking requirements are another limitation to small lot development. Minimum parking requirements that do not reflect actual need decrease affordability by increasing housing costs and reducing the amount of land available for housing. In this case, a project may or may not move forward because of the limitations induced by such requirements. A typical parking space requires up to 300 square feet; the small lot ordinance generally requires that each unit provide two garaged parking spaces, further restricting the ability to build. Tailoring parking requirements to reflect the availability of transit options will promote compact, pedestrian-friendly, and affordable neighborhoods. Finally, a complicated permitting process can significantly delay projects. Developers applying for permits in the city of Los Angeles must go through approximately 17 steps and a number of multi-departmental approvals in order to obtain a final building permit. Additionally, a lack of communication between departments results in conflicting instructions, further delaying the approval process. A new plan, Build L.A., proposes to streamline construction permitting by assigning a city case manager to developers working on larger projects. The goal is to have one point of contact for each project; the proposal is meant to improve efficiency and transparency in the approval process.